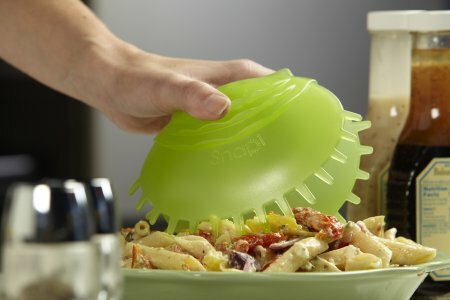 SNAPI: the fun way to serve food that is perfect for salads, pasta, veggies and more! SNAPI allows you to grab a full serving in one "bite", using a single hand. 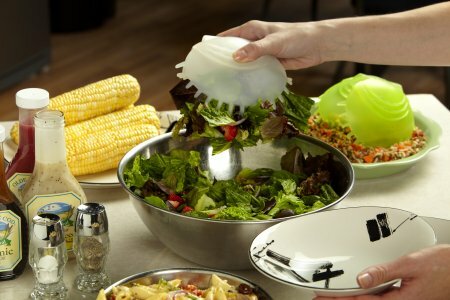 No more clumsy efforts to load your plate. Snapi has a built in lock for storage in drawers and cabinets. Perfect for buffets, salad bars, pasta bars, caterers, home use, etc. *THE $12 PRICE INCLUDES USPS First Class SHIPPING! **We will send you an alternate color if your first choice is unavailable. PLEASE WATCH THE BRIEF HOW TO USE SNAPI VIDEO ON YOU TUBE. Snapi: A great product and fun to use! Folks, this is Alex- president and founder of Strictly USA. The Snapi is almost the perfect product. 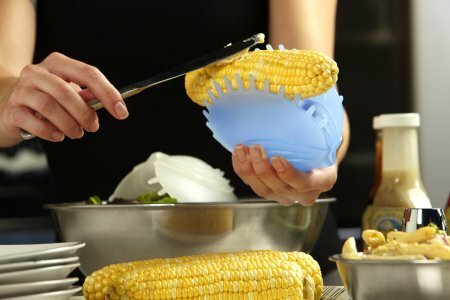 Simple, fun to use, eye catching, economical, durable and...completely made in USA. It comes in a wide variety of colors. Dishwasher safe. Easy to store. You'll love it--we do. 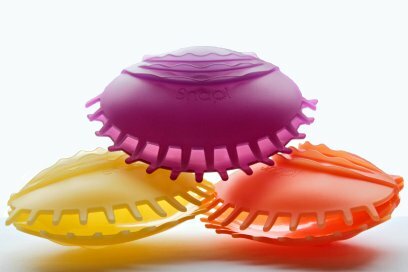 Its the go-to gadget during the summer when you make a lot of salads.